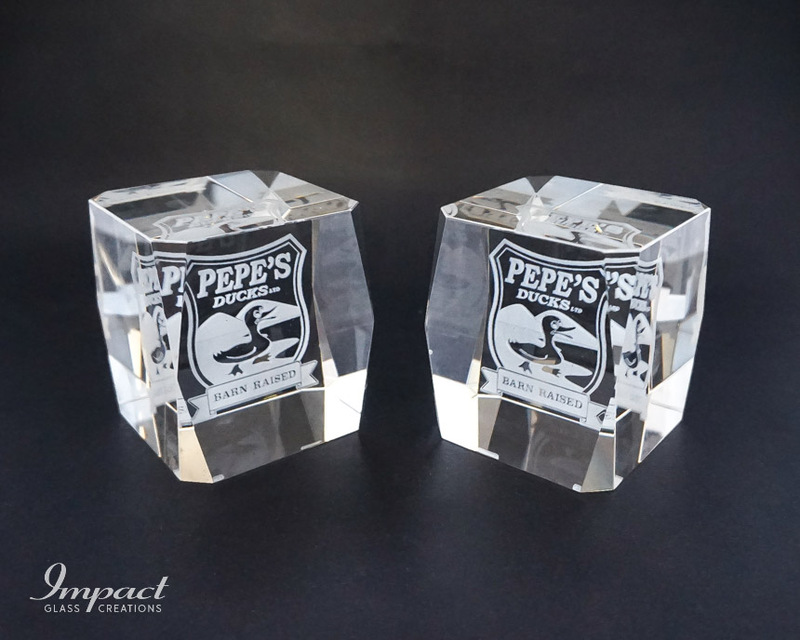 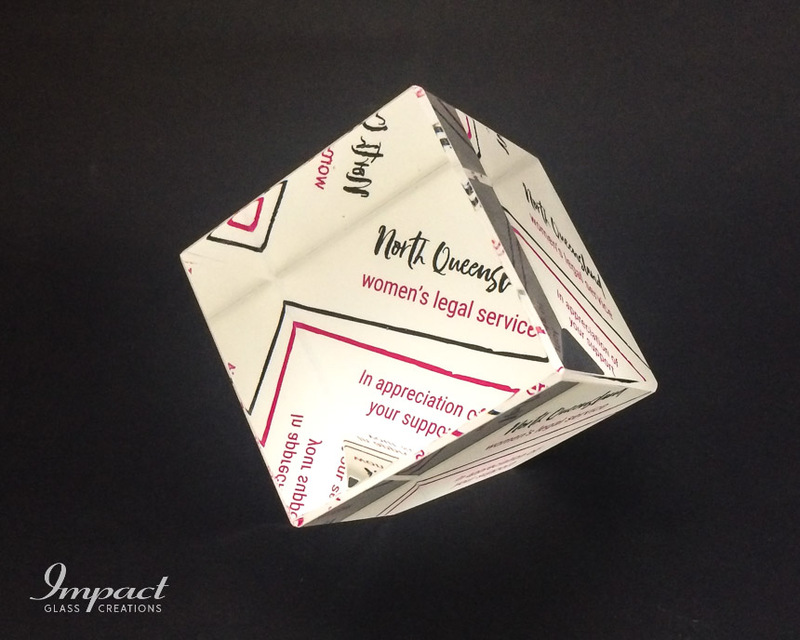 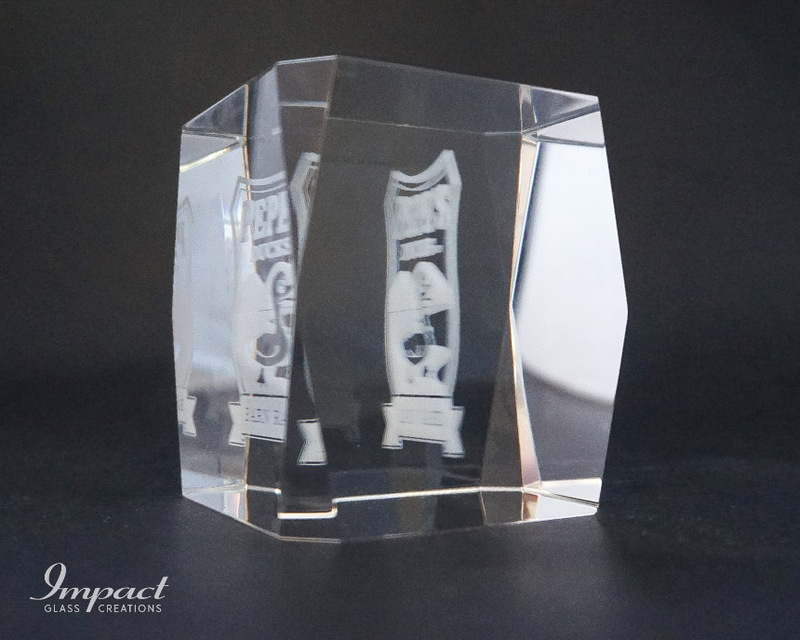 This bevelled crystal block acts as a paperweight or a gift with a unique touch. 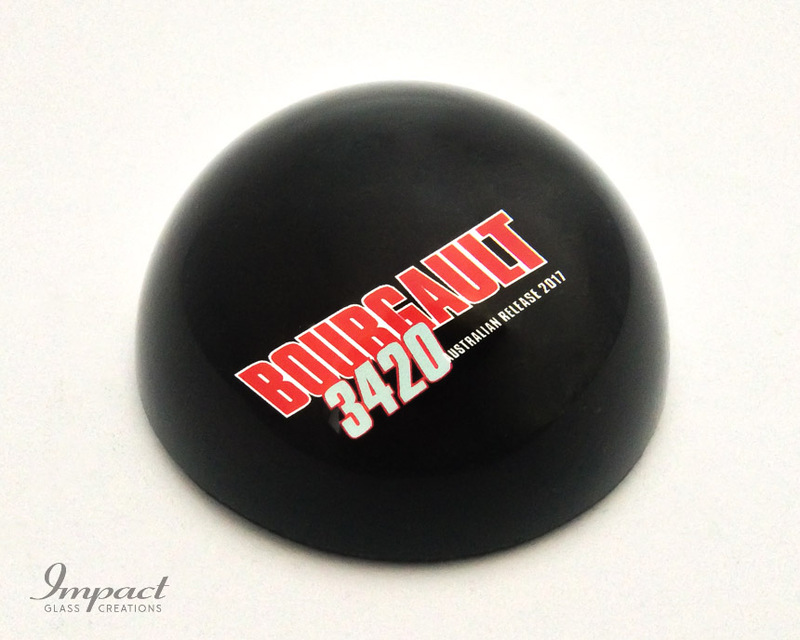 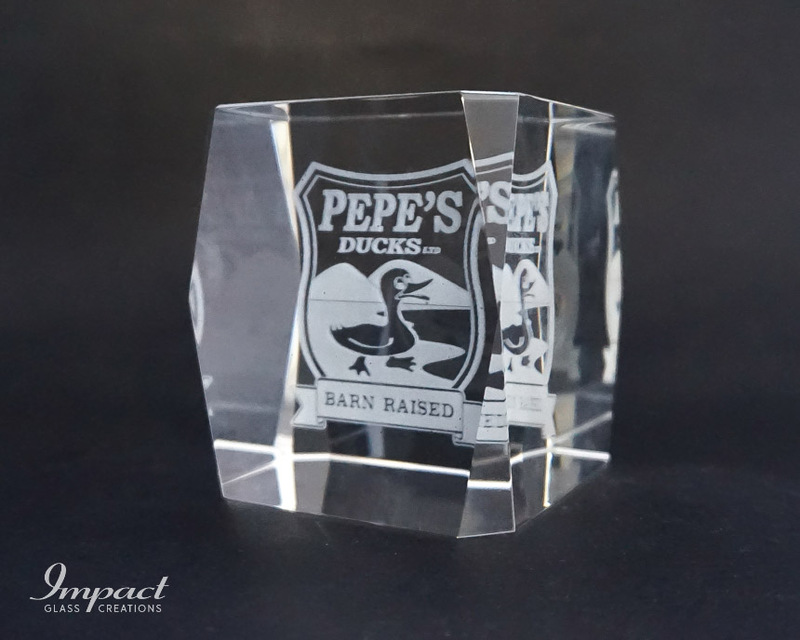 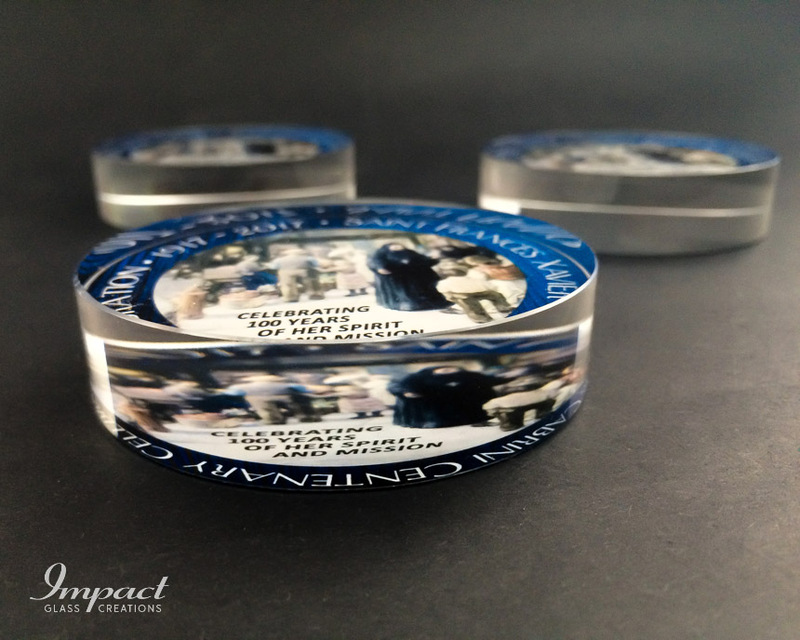 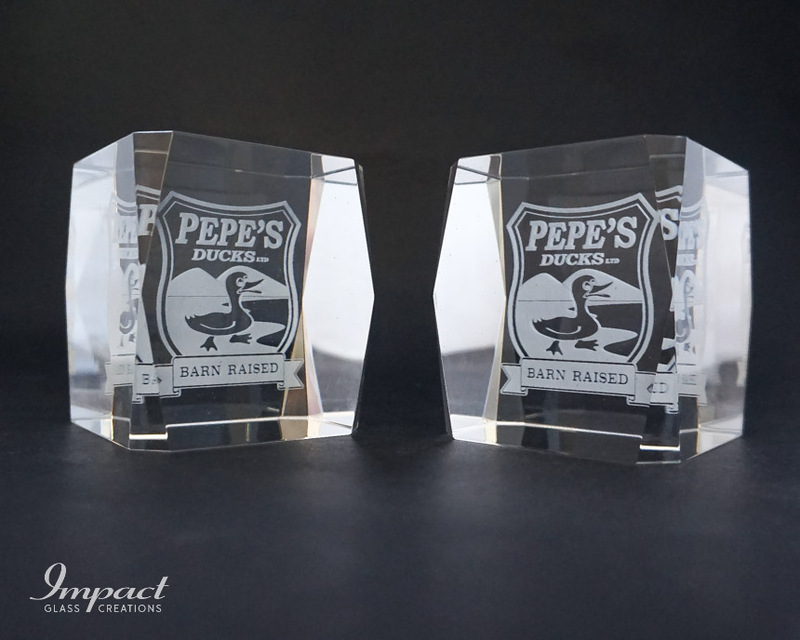 The customer’s logo was internally laser engraved inside the center of the block. 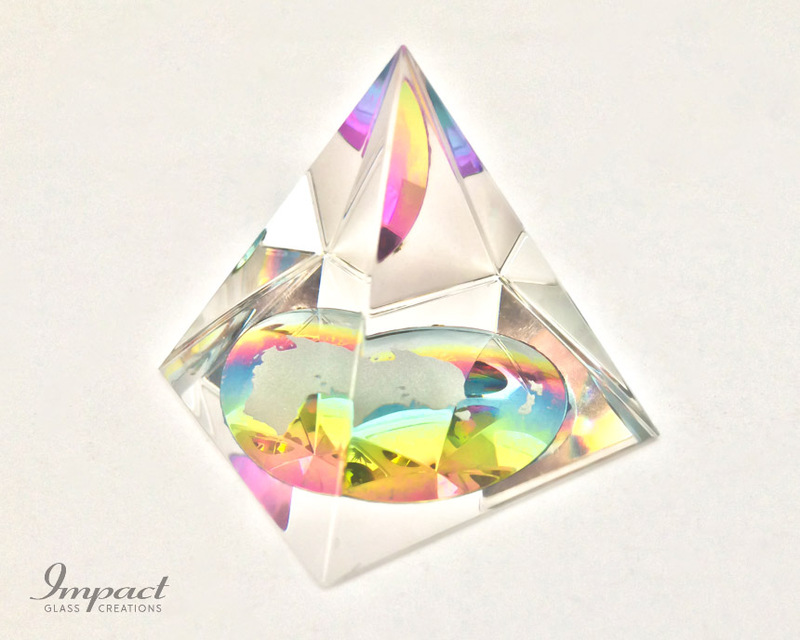 The bevelled cut corners help to catch and reflect light within the crystal.